Familiar Godard themes of gambling and martinis can be found in the Shooting the Wad Wall Clock, all illuminated by white and red neon lights. 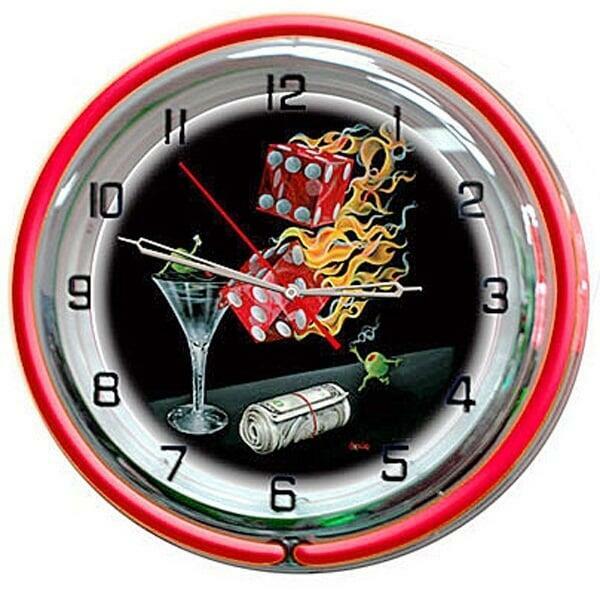 Michael Godard Designs produced the artwork on this game room wall clock, featuring two flaming dice, a roll of dollar bills and two of his famous martini olive characters. Nothing says Las Vegas like Michael Godard and the warm glow of neon; bring this combination into your game room with the help of Family Leisure.